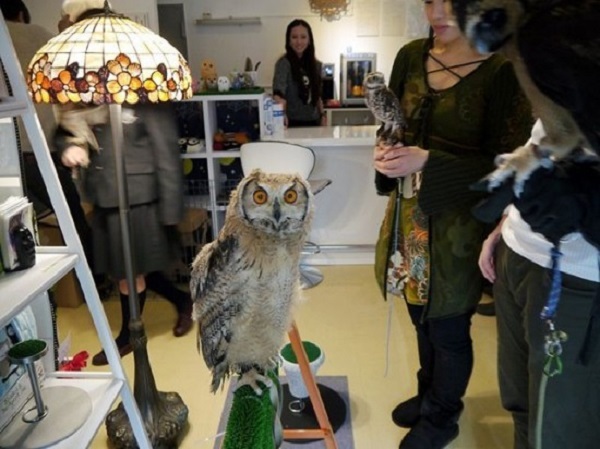 No, the Owl cafes are only for nocturnal type of people, it’s quite the contrary! It’s for those who love the oddness. 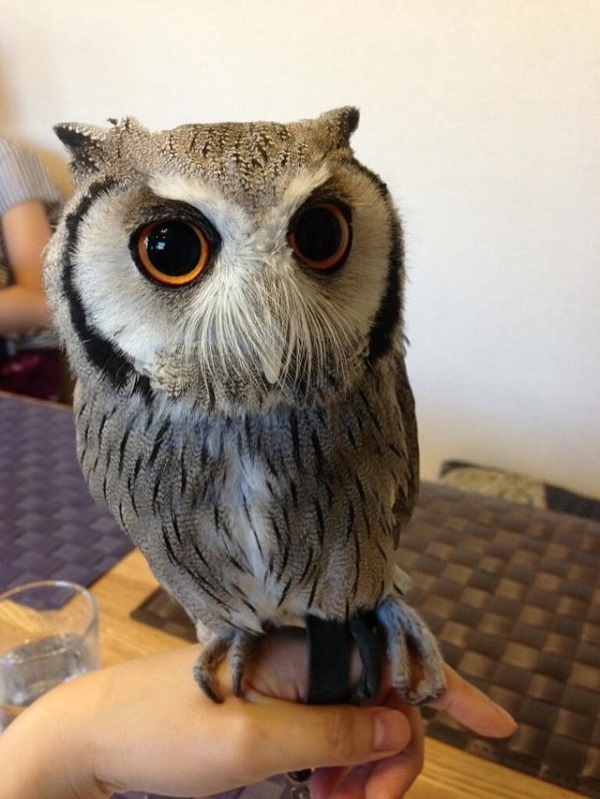 How else could one describe the café where the first thing one encounters is owls? 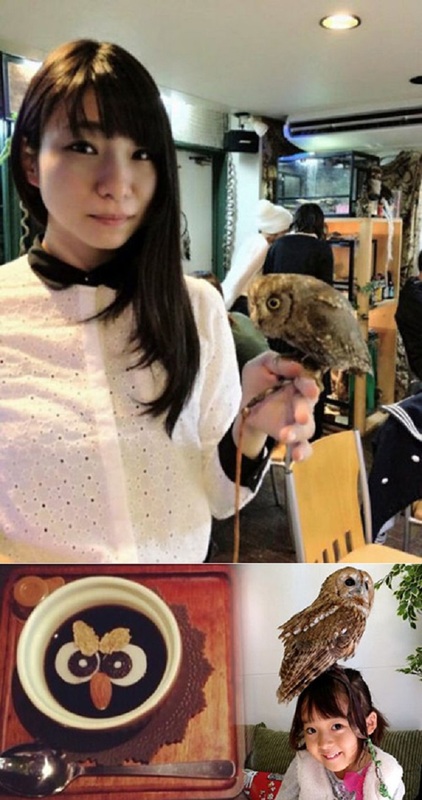 After absolute madness with cats, apparently the Japanese forgot about them and now have a new bird mania which they seem to appreciate them very much. 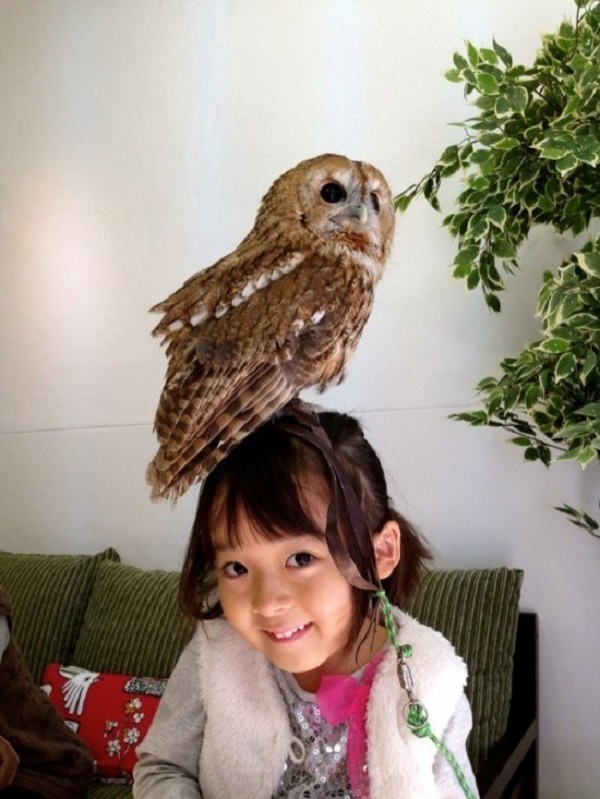 There are many people who choose daily to drink coffee and relax next to owls, to caress her and to spend with them some fun moments. Endless lines are made by the crowd outside these coffee houses, while booking, especially on weekends is essential.